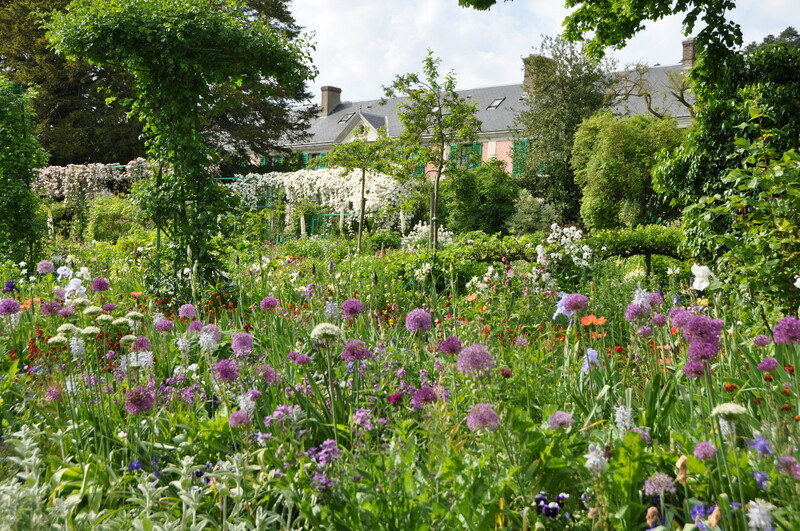 Mid-May, in Monet’s gardens the last tulips that were so colorful are followed by blue and purple flowers: flouncy irises and ball shaped alliums. Both exist in all sorts of tones from pale to intense. When planting them, the gardeners pay great attention to their variety, trying not to have two same flowers side by side. Although they are so numerous, they never produce a mass effect but keep a very natural look, that makes all the charm of Giverny.